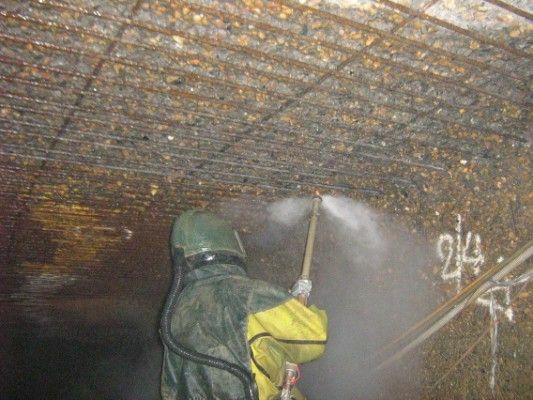 Metrocorp are able to offer precision hydrodemolition services using ultra high pressure equipment capable of delivering 40,000psi. Our equipment is purpose designed for the demolition of concrete and with over 20 years experience in the remedial engineering industry we are able to offer the ideal solution for any hydrodemolition project. Elimination of manual handling injuries associated with the use of demolition hammers, in particular in wall and overhead situations. Dust free and environmentally friendly. Precision demolition for concrete remediation projects. The preferred method as recommended by structural engineers. Removal of surface coatings and preparation of steel reinforcing in one operation. Available nationally for appropriately sized projects. Mobile or container mounted units for longer term projects. Trained and experienced operators with professional management support.